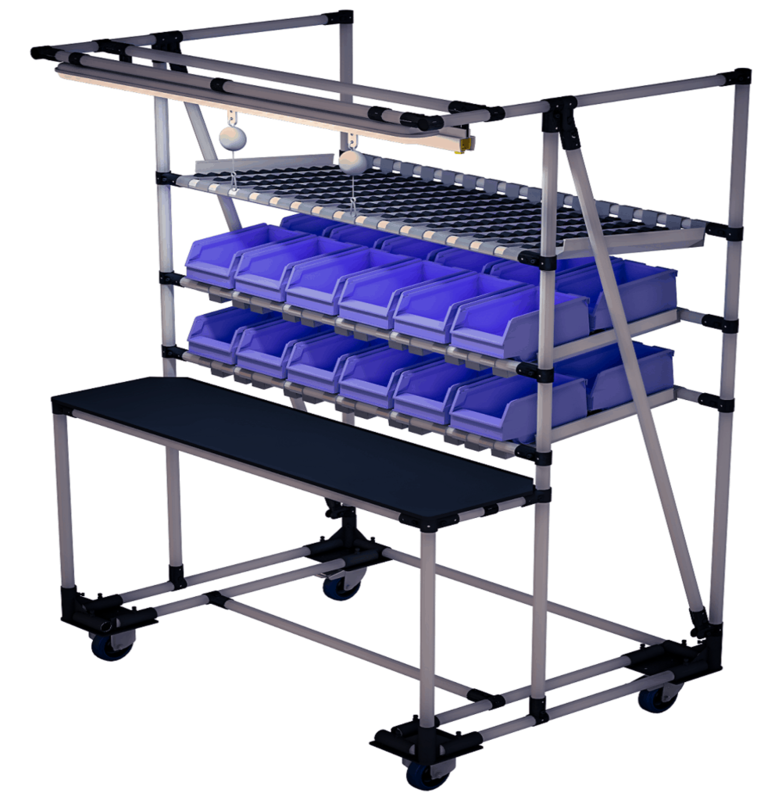 INDEVA Lean System® fully supports the principles of the Lean manufacturing and Kaizen Philosophy and it is, therefore, the ideal tool for those companies aiming for space optimisation and continuous improvement processes. 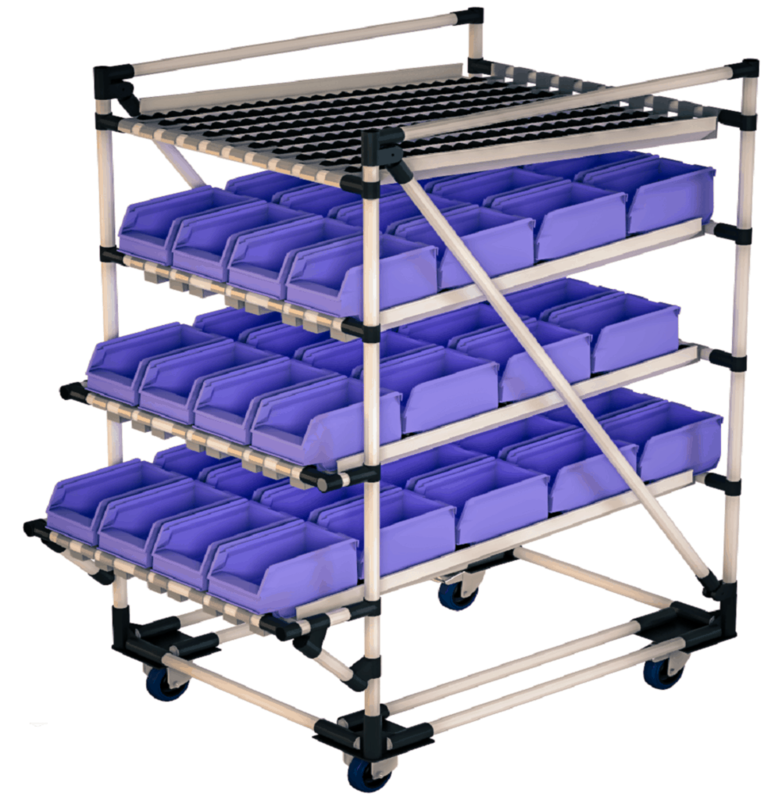 Flow racks, also known as first-in-first-out (“FIFO”) racks or gravity racks or gravity-fed rack (“GFR”). 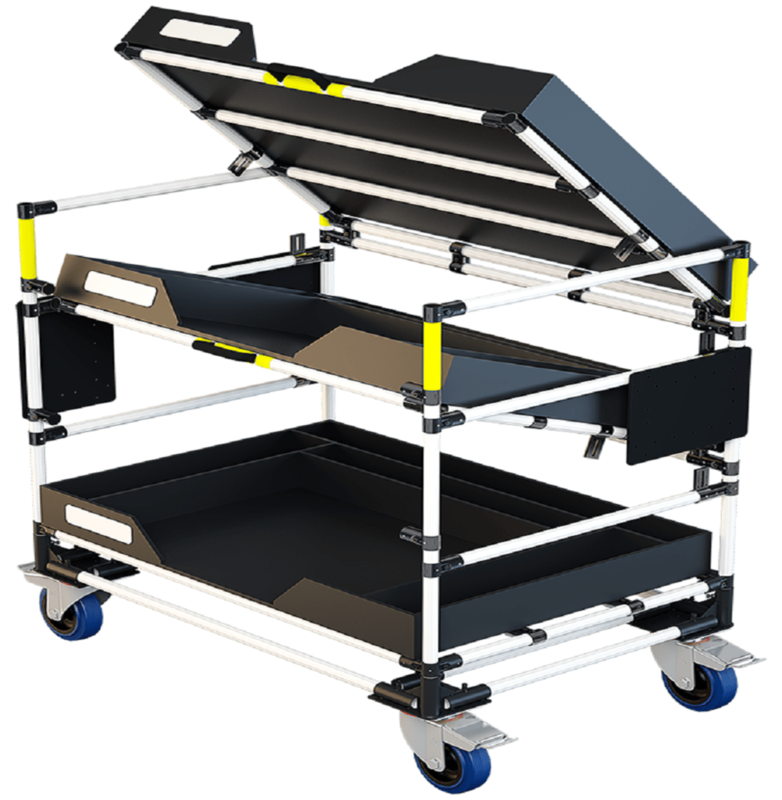 INDEVA Lean System® modular tugger carts can be used in a train set or individually for being towed by an AGV. 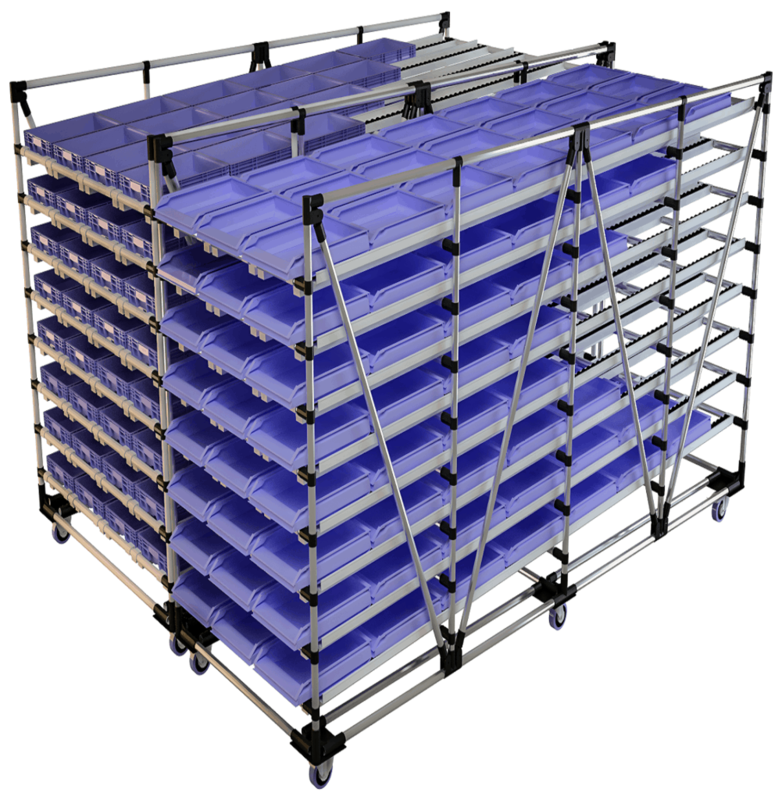 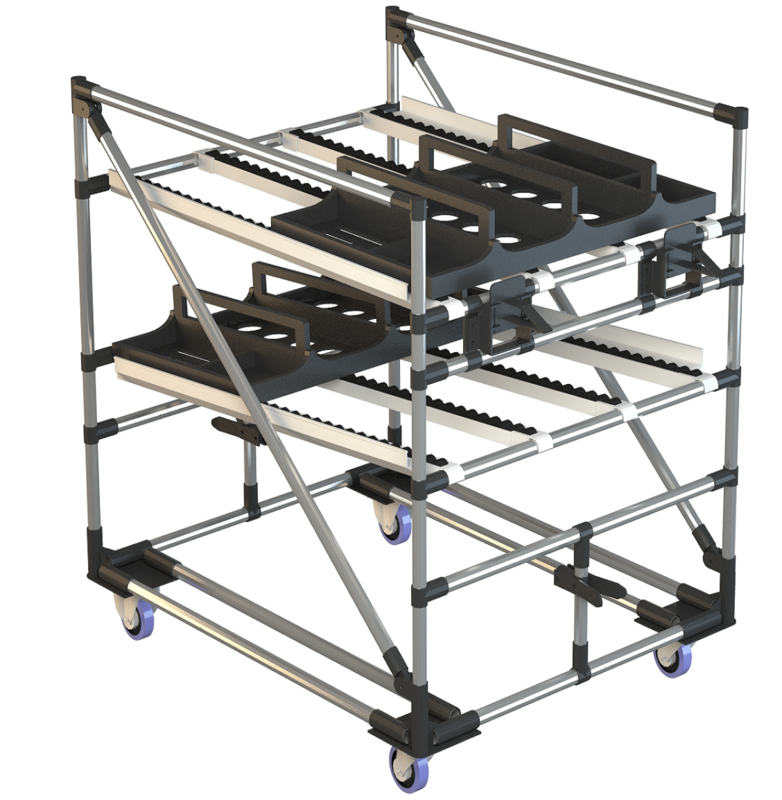 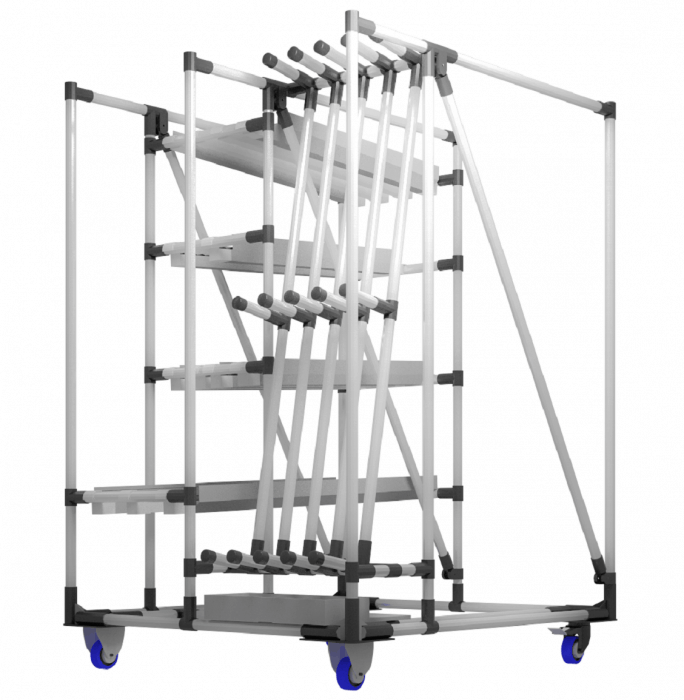 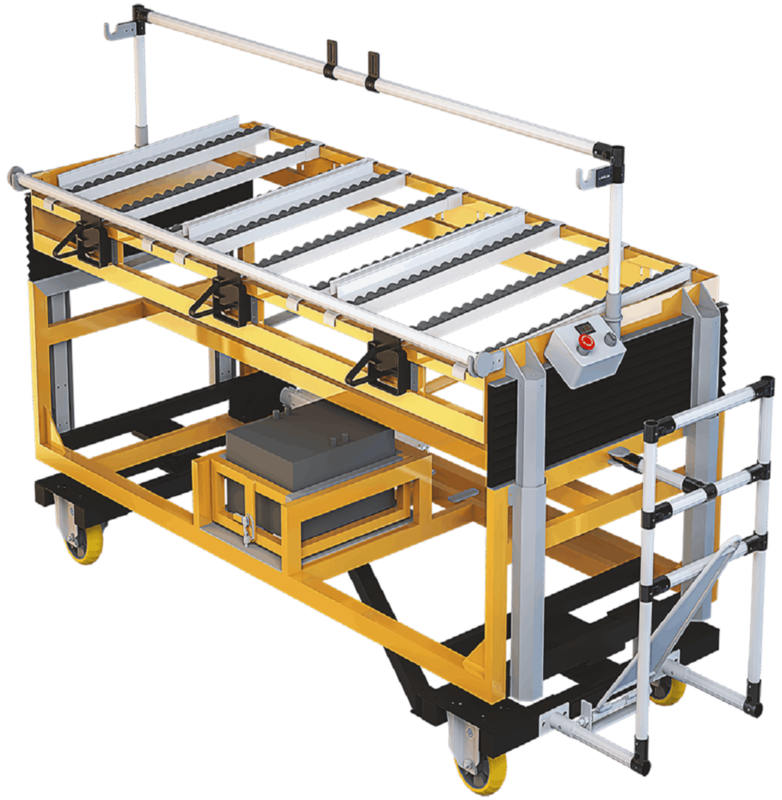 INDEVA Lean System® is ideal for the design and assembly of in-house material handling carts.